Giveaways Healthy Kids and Teens Natural Remedies Products & Books We Love! 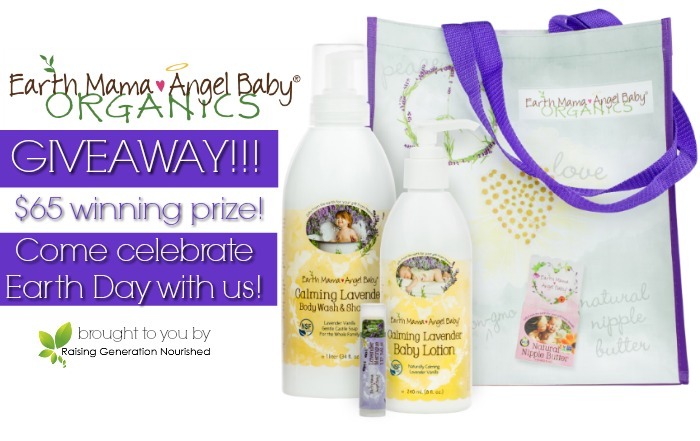 Earth Mama Angel Baby Earth Day Giveaway! :: PLUS! An Earth Day Giveaway Blog Hop! 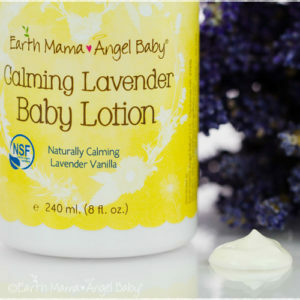 Earth Mama Angel Baby is a brand you can trust with the most sensitive of skin – and we have a great Earth Day giveaway too! Product links in this post are affiliate links. It does not cost you anything and helps maintain the free information on this site, as well as answer the questions of “what brand do you use?” I received compensation for my time to write and sponsor this post and giveaway. Please know I never personally recommend any product I wouldn’t use on my own family. 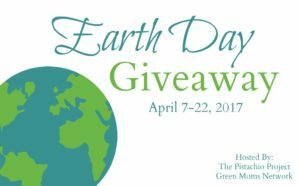 Welcome to the Earth Day Giveaway Hop, hosted by The Pistachio Project and Green Moms Network! Each of the participating blogs will be giving away a prize to help you go green and celebrate Earth Day! Earth Day is just one day out of the year but we want to give you ways to go eco-friendly all year long. After entering my giveaway, be sure to hop around and enter all of the other giveaways listed on the link at the bottom of this post! …that completely awakened the momma bear inside of me toward *anything* my baby came in contact with. From clothing and toys, to food and soap, something in me started to question just about every label and every ingredient that my baby was going to touch, ingest, or be slathered in! I remember the very first “bath” I gave my first born. I had received oodles of a certain “popular” tear free baby wash at all the baby showers, and I figured, “Well…it has a baby on it right? It must be safe? !” As I was watching her wiggle in the little baby hamock I flipped that bottle over to see just how baby friendly the ingredients looked – I mean what ingredients made it a baby wash really? Immediately my heart sunk. I couldn’t even read half the label, and my red flag, red light, momma alerts were going off in my head. My research into a better baby wash continually brought me back to Earth Mama Angel Baby . I loved that I could understand the ingredients and I loved the mission of the company. Now that my babies are older, we still love the gentle soaps and lotions when we need them, and there are even more product options and scents…and in a house full of little girls…well, that is extremely important! Spring lavender is in the air! 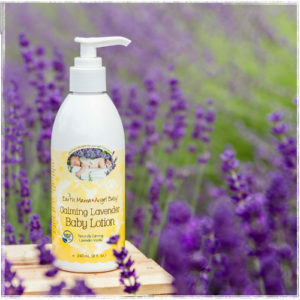 To celebrate Earth Day, Earth Mama Angel Baby is helping us step into the fresh air with this amazing package of their most popular naturally scented lavender products and a great tote to carry all of your farmer’s market finds this spring and summer! Total retail of the package is $65 plus shipping! Yeah! But wait! 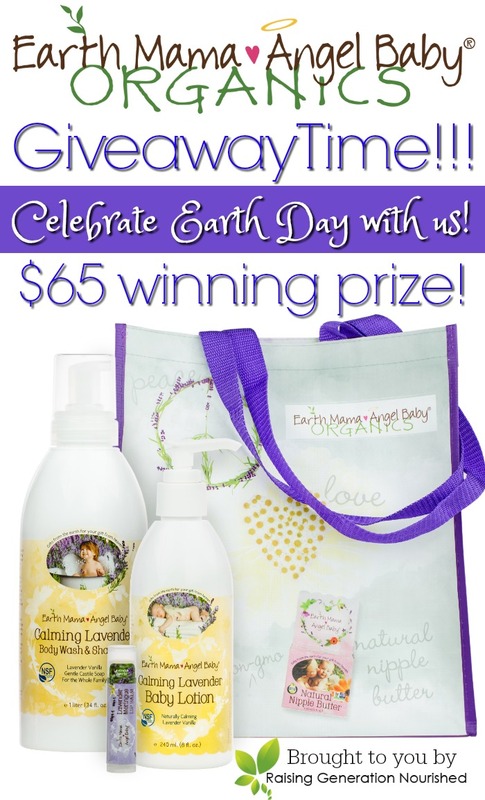 There’s More Earth Day Giveaway Fun! I’ve teamed up with my fellow Green Moms Network blogging friends to bring you all of their Earth Day giveaways, in one big massive Earth Day Giveaway Blog Hop! Follow the links below to enter more Earth Day giveaways! This contest will run thorough April 22, 2017 at 11:59 EST. No purchase necessary. US entries only. Must be 18 years or older to win. Sponsors may have provided free samples of products to the bloggers. This promotion is in no way sponsored, endorsed, or administered by or associated with, Facebook. You understand that you are providing your information to Raising Generation Nourished and not to Facebook. Please not that Raising Generation Nourished, The Pistachio Project, Green Moms Network and the Earth Day Giveaway Hop bloggers are not responsible for sponsors that do n to fulfill their prizes. We have represented each sponsor with the expectation they will fulfill their prize in a timely manner. We will contact the sponsor regarding your prize(s). The sponsors, in most cases, are shipping their items to you directly. I will make every effort to assist you obtaining your prize. If there is an issue with a sponsor, please notify the blog you won a prize from within 4-6 weeks for assistance, after that we may be unable to assist you.